GAHS sophomore Adam Stout slides in for the go-ahead run, during the Blue Devils’ 2-0 victory over South Point on Wednesday in Centenary, Ohio. CENTENARY, Ohio — A pair of pitching masterpieces, but only one could get the win. 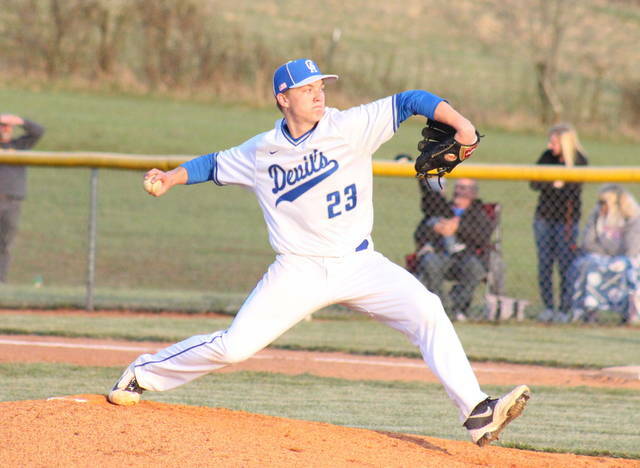 The Gallia Academy and South Point baseball teams combined for just four hits in Wednesday’s Ohio Valley Conference bout at Bob Eastman Field, with the Blue Devils pulling out a 2-0 victory. After just four base runners — three via error and one on a hit batter — in the first four frames, Gallia Academy (5-0, 2-0 OVC) senior Morgan Stanley drew a walk with one out in the fifth. After advancing to second base on a passed ball, Adam Stout was subbed in to pinch run, but the second out of the frame was recorded on a strikeout. 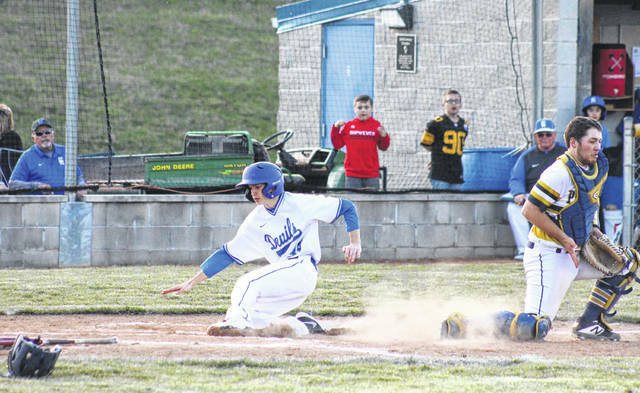 Gallia Academy’s first and only hit of the game came at exactly the right time, as senior Wyatt Sipple singled to right field, bringing Stout home from second to score the go-ahead run. Sipple then stole second base and went on to score on a SPHS error, giving the hosts a 2-0 advantage headed into the sixth. The Pointers stranded runners at first and second in the sixth inning, and then left the bases loaded in the bottom of the seventh, falling by a 2-0 tally. GAHS junior Andrew Toler earned the pitching victory in six innings of work, striking out 12 batters and walking six, while surrendering three hits. Cole Davis picked up the save in one inning of relief for the Blue Devils, striking out a batter and walking another. Brody Blackwell was the losing pitcher of record in a complete game for the Pointers, striking out seven batters and walking three, while allowing two runs, one earned, and one hit. Along with Sipple’s RBI single for the hosts, Drew Smith, Nakian Dawson and Grant Gifford each singled once for the guests. 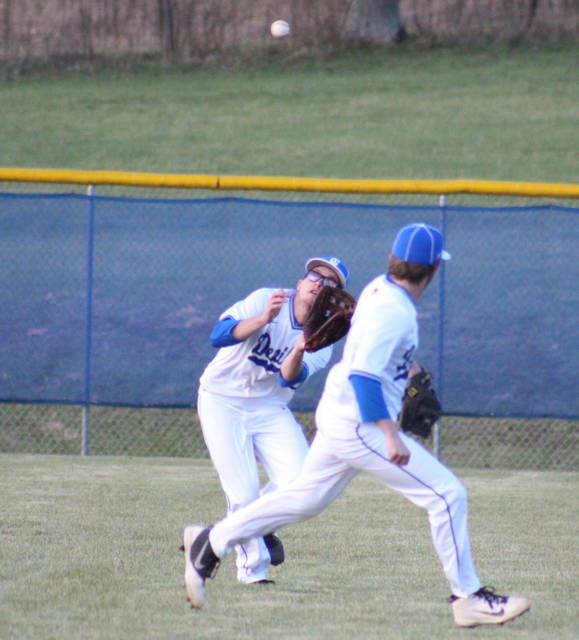 SPHS was responsible for all-6 of the game’s errors, while leaving 10 runners on base, three more than Gallia Academy. 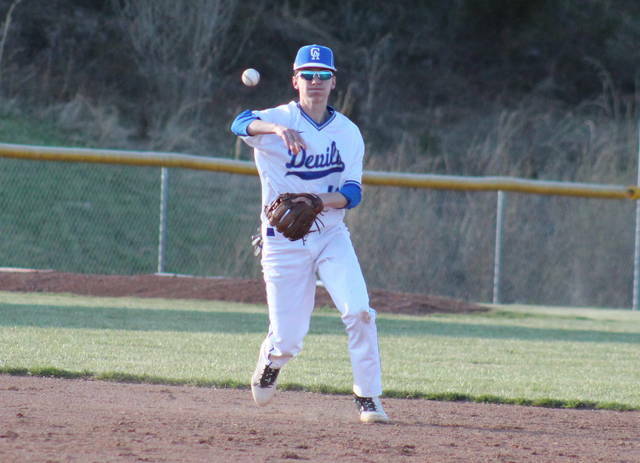 The Blue Devils and Pointers are set to clash again on April 19 in South Point. Gallia Academy is scheduled to finish the week with a trip to Rock Hill on Friday, followed by a non-conference game at Wellston on Saturday.